ActivePresenter 7.5 Is Now Released. How To Update? The new ActivePresenter, version 7.5 with many new features and enhancements is now released just 2 days away from the Black Friday 2018. This new edition comes in with many amazing features that we’ve been looking for. Here is what we heard from their notice! Actions lie at the heart of interactive content, and the brand-new advanced actions will take your content to the next level. Advanced actions are designed to combine multiple conditional actions into a single one that can be reused effortlessly. Thus, they streamline the interaction-making process and improve the workflow. Design scenario-based training content faster by using advanced actions. Feedback masters are now ready for use. Similar to slide masters, feedback masters offer a consistent look and feel across feedback layers throughout your course. Go above and beyond the predictable “Correct” and “Incorrect” feedback messages by making use of meaningful, context-sensitive feedback through images, videos, and more. Being far more elegant, flexible, and thoroughly customizable, the new player will please both course designers and learners. Many skins and presets will extend choice of the “look” of the player. As for the “feel”, more options have been developed to provide complete control over the behavior of the player and many of its elements. 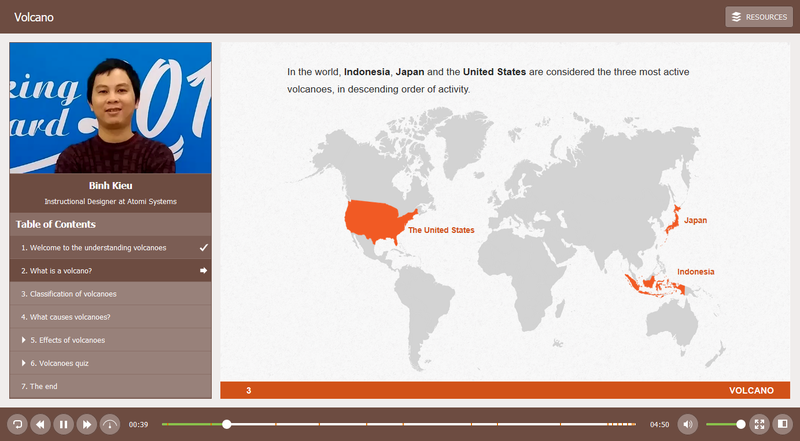 The redesigned player also supports attaching resources to the course. This is great if you want to give learners relevant information, related websites, or a printable copy of the slides. Author video is another useful addition as it integrates presentation slides with a talking head or an explainer video. It’s good for learners to revisit the course after completing it to review what they have done. 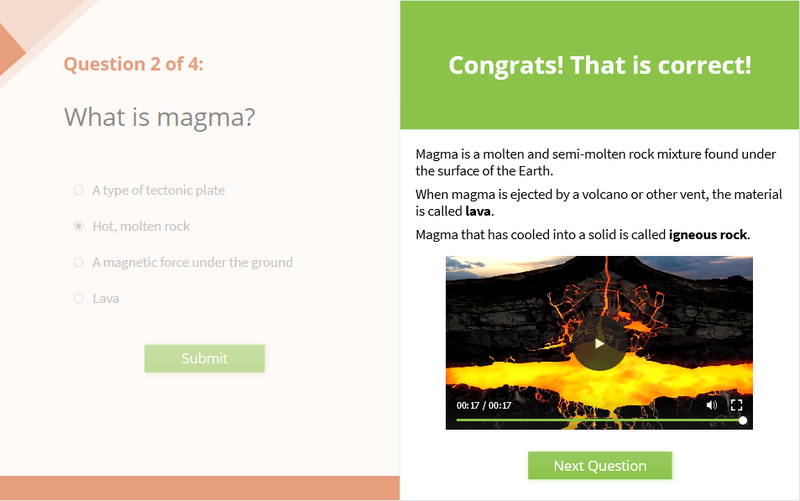 The review mode, which is accessible from the report slide, allows learners to review their answers after completion. Learners can see correct and incorrect answers, correct values, and the overall result of each interaction and slide. Pixel-perfect equations and formulas are ideal for presentations and quizzes on math or any science. Besides writing from scratch, you can copy equations from Microsoft Office for reuse. Using equations, it’s possible to build a quiz for, for example, high school students where they have to divide radical expressions. Quiz markers will be glad to hear the inclusion of the animated timer object. Both visually customizable digital timers and progress bars are ready to count up or down at run time and trigger an action when time is up. For example, you can use a countdown timer to force learners to jump to the report slide at the end of the minute. For anyone who creates YouTube video tutorials, the Publish to YouTube feature will be a great helper and time-saver. This one-click feature enables you to export your project as a video and upload it to YouTube directly from ActivePresenter. 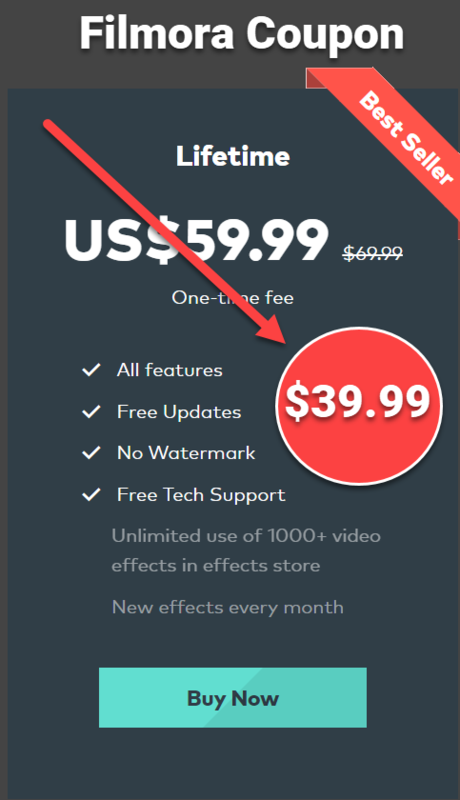 You no longer have to save a video to your computer and go to your YouTube channel to upload it. ActivePresenter for macOS will see the addition of the Export to PDF feature. Make your presentation universal and compact for sharing and printing with high-resolution PDFs. More themes and sound effects helps out in making professional-looking and -sounding content. Dozens of non-pixelated icons are at hand to add visuals to your presentation. Audio normalization keeps the sound level consistent between slides, thus optimizing the sound quality. [HTML5] Responsive font size can be manageable using the Text Scale option. [HTML5] The preloader that shows when your document preloads resources is now easily customizable to your liking. ActivePresenter 7.5 runs more quickly and smoothly. Preset shapes can be edited as those freeform ones using the Edit Points option. [HTML5] Variable values will be retained the next time learners visit and resume the course. [HTML5] Object states will be retained when learners go back to the slide. [HTML5] ActivePresenter 7.5 allows selecting fonts for embedding in the HTML5 output, so learners always see the correct fonts. [HTML5] Enjoy more options to score learners because now you can subtract points for incorrect actions. [HTML5] ActivePresenter courses will load faster. And many bugs fixed and performance improvements! A huge THANK YOU to our wonderful customers! We would like to express our gratitude for all the valuable and constructive comments, suggestions, and bug reports. We are looking forward to seeing what you create with ActivePresenter 7.5. – From Atomi’s Blog! How to update to ActivePresenter 7.5? On ActivePresenter’s Start Page, click Help-> Check for update. The program will start downloading the installation package and ask for your permission to install this new edition if you agree. Follow this instruction to update to ActivePresenter 7.5 Edition. 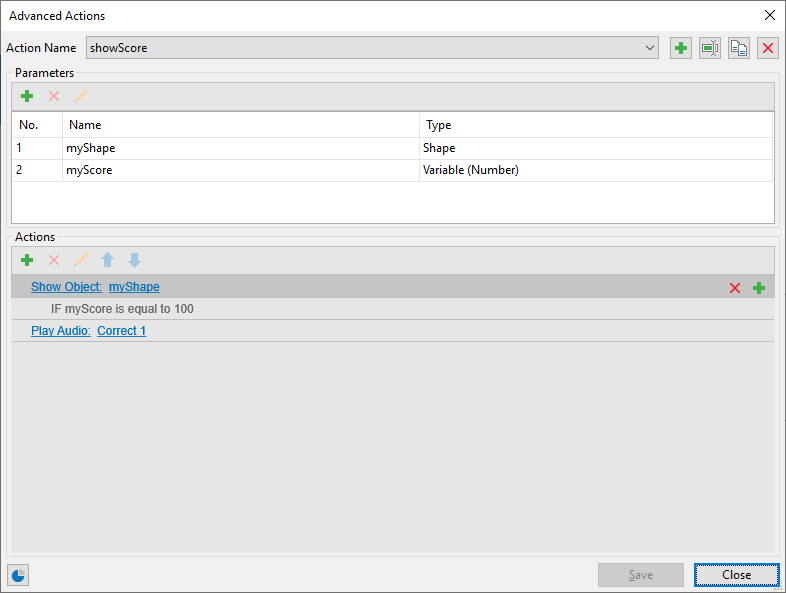 We will publish our updated review about ActivePresenter 7.5 after we test it carefully.